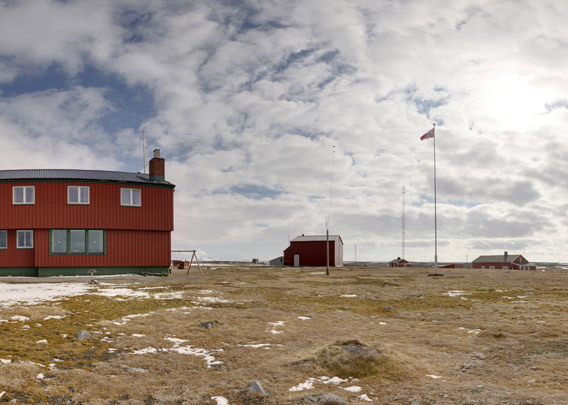 The Norwegian weather station „Bjørnøya Meteo“ is situated at Herwighamna on the north coast of Bear Island. It was called Bjørnøya Radio, but in times of satellite-based commucations, the function of a coastal radio station is not that important anymore and the work as a weather station is more important. The station is now accordingly called „Bjørnøya Meteo“ (short for meteorological station = weather station) rather than Bjørnøya Radio. The bay Herwighamna is the only natural harbour on the north coast of Bear Island – at least in a wider sense, as it is too small for all but the smallest boats and it does not provide much shelter. 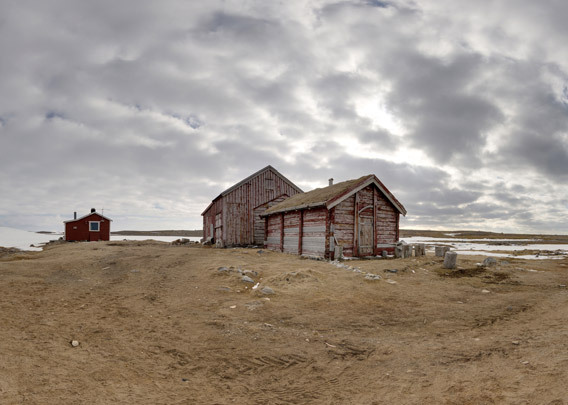 The original weather station was on the same site as the coal mining settlement Tunheim on the northeast side of the island, but it was moved to the new location in 1947 (the new buildings were ready in October 1946, but then it was too late in the season to move). It was important to have the weather station on the flat north part of the island, as far away as possible from the mountains, to avoid local disturbance of the weather observations. The station building from 1946 is mainly a backup nowadays. More modern buildings have been built to house the personnel of 11 people who take care of the daily routines: a cook, technicians, meteorological assistants. Weather observations are made several times a day according to international standards, including weather balloon ascents. 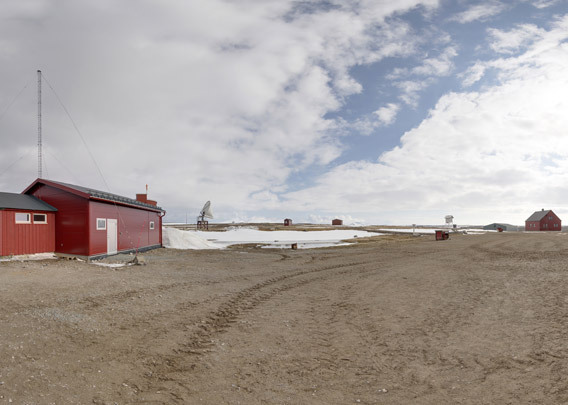 A station like the one on Bear Island is often perceived as a scientific station, but that is not what it really is. Of course it is occasionally used as a logistical base by scientists who work on the island, but research is not the daily work of the regular staff. Most measurements are for weather forecasting systems (of course they are also used by scientists, but that is not the main purpose of most data, and there are some data which have a scientific background, for example to monitor environmental toxins – unfortunately an important issue in the Arctic). There are usually 11 people, men and women, working at Bjørnøya Meteo on half year contracts. It is not uncommon to return several times over the years. On 28 March 1954 a Norwegian postal plane crashed on Bear Island. It had dropped mail bags over Isfjord Radio, Longyearbyen, Ny-Ålesund and Hopen, before it flew low over Bjørnøya Radio (as the station was still called back then) near 15 p.m. Shortly afterwards, it crashed into the ground about 5 km south of the station in poor visibility. Only one out of nine men on board survived. On 01 November 1984 a little monument with the name of the casualties was unveiled together with the twisted propeller close to the main building of the station. Today, Bjørnøya Meteo is regularly visited by the Norwegian coast guard and occasionally by the Sysselmannen. With its fuel depot, it serves as an important stepping stone for both institutions’ helicopter logistics between Longyearbyen and the Norwegian mainland as well as for search and rescue operations in the Barents Sea.